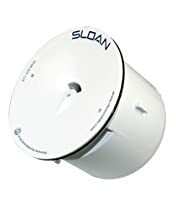 Cartridge Kit replacement for Sloan Waterfree Urinals. There are four primary functions of the cartridge system. First, the cartridge acts as a funnel, allowing liquid from the bowl to flow into the cartridge. Second, the cartridge holds the sealant liquid. As liquid waste enters the cartridge, our sealant liquid creates a barrier between the waste and open air, thus eliminating all odors. Third, the cartridge acts as a filter for uric sediment. Much of the sediment that can cause drainage pipe corrosion is trapped at the bottom of the cartridge. Fourth, the cartridge allows the remaining waste to be freely disposed of down the drain. The Cartridge is engineered to last for at least 7000 uses and to receive waste through drain holes. Waste passes through an emissible layer of Sealant, continues through a Siphon Trap System, and flows out through a Patented Baffle to prevent the loss of Sealant. A Discharge Tube in the housing directs the flow of waste into the building drain system. 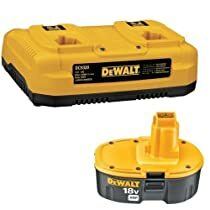 The Cartridge is designed as a replaceable component when its function has been exhausted. Features: Uses no water Mechanical-free design Patented, Sealed Locking Cartridge Biodegradable Cartridge Sealant Liquid eliminates all odors Benefits Improved hygiene and safety Reduced water and sewer costs Water supply piping not required Odor-free Easy installation and replacement Cartridge Kit -- Engineered to last for at least 7000 uses Cartridge is made from recyclable ABS Sealant Liquid -- 100% biodegradable Cartridge Installation/Removal Tool (Key) Protective Glove Disposal Bag Savings: An average tanker truck holds approximately 4,500 gallons of water. Amazingly, one cartridge alone saves more than two full tanker trucks of water. This means one of our urinals can save almost nine tanker trucks of water in a single year.